Quality installation is the most important element of a comfortable and efficient home, yet many people forget to take that into consideration when choosing a furnace company. 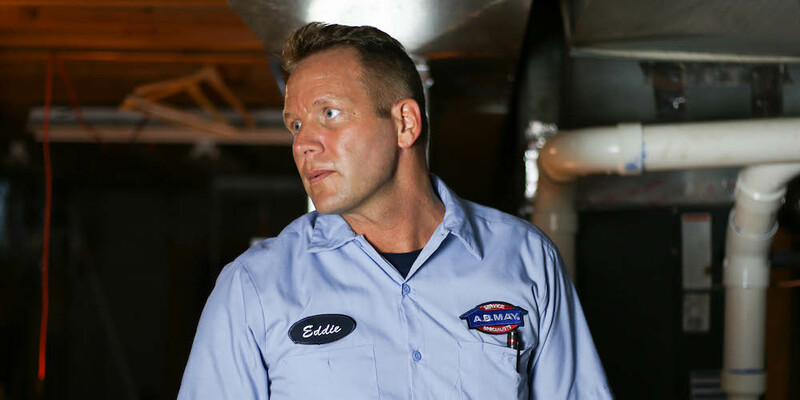 Did you know that most HVAC systems are much less efficient than their advertised SEER rating? A recent government sponsored study found that there are 6 common installation errors that can significantly reduce both energy efficiency and comfort in your home. At A.B. May, we work hard to do things the right way from the start. That means designing a system specifically for you and your home, using high quality equipment, pulling all appropriate city permits, and giving our installation technicians constant training on best practices. Our goal is to offer you world class service, so we can earn a customer for life. • You will be contacted to confirm your appointment. • Our installers will arrive at your home on your scheduled time to begin the installation. • First, our install team will wear shoe covers and lay down drop cloths to protect your home. • Our install team will give you an approximate time of completion and guidelines for payment. • We will ensure that all new pieces of equipment are in ideal working order. • We will explain the thermostat and go over instructions with you. • We will show you how to change the filter. • Our Lead Installer will review and sign off on all appropriate paperwork with you. • We will collect the balance due. • Our team will clean up the work area, leaving your home in the condition it was found or better. We fully expect you to be satisfied with your new system and our workmanship. But if you experience any problems, please don’t hesitate to give us a call. We will make it right for you. Our Parts and Labor Warranties protect you for 12 years, as long as your system receives maintenance at least once a year.